Gorgeous color on those plants. I am a very happy customer who enjoyed this package. It was nice to get plants delivered straight to my home. It is now climbing along and up a tree that was near my arbor, I will probably leave it because it looks so good. The colorful leaves are simply breathtaking, you need to buy them and see for yourself! 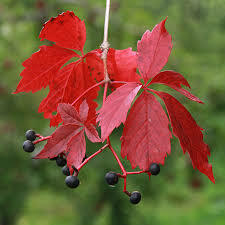 Virginia Creeper, also known as Victoria Creeper, Five-leaved Ivy, or Five-finger, is in the vine family, Vitaceae. This vine is native to southern Canada and the eastern US. This plant uses its small forked tendrils tipped with adhesive pads to climb smooth surfaces. 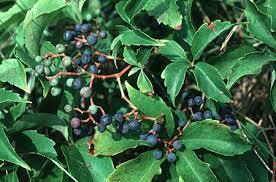 It produces small, greenish flowers that mature into small purplish-black berries. These berries are toxic to humans because of their oxalic acid. However, they are an essential food source for birds in the winter. This plant can look magnificent as it winds and grows on building, fences, trellises and also on large arbors. Virginia Creepers look amazing as they grow and bloom in garden areas and even on lattices that are over a large sidewalk or driveway. They do great when planted in average soil conditions. This plant blooms from April to June each year. When the fall months arrive, it provides beautiful red leaves that bring a location to life. These grow to become very thick and dense, and they can also help keep areas more relaxed in the summer months as they can provide shade when needed. These also work wonderfully when used to create a beautiful ground cover because of the length that they can grow. These vines are lovely and give all locations where they are planted an abundance of color as they grow. 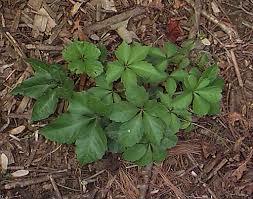 The Virginia Creeper is a vining plant that doesn't require a lot of specialized care. It tends to increase quickly, so it's important to keep the plant trimmed if you don't want it to overtake specific areas of the yard. Most of the color of the plant is seen in the fall. It exhibits beautiful shades of red, yellow and orange. Some plants feature dark purple as well. Leaves are shaped with five points and are usually green over the rest of the year. The plant grows best in colder environments.